An amazing cafe in Nevada City. A back patio surrounded by trees and filled with wrought iron chairs. 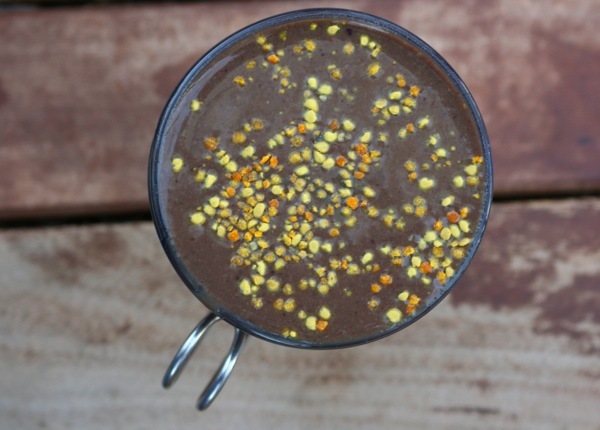 A drink complete with bee pollen. A late winter afternoon spent sitting in sunshine.